Last year my husband and I built a raised garden bed on the side of our house…and in the exact same breathe we began to outfit it with all of the plants we thought we used most. Immediately following, we decided to tackle the house remodel before our daughter started walking. And while we managed to get the remodel done before the kiddo was in full cruising mode, we lost complete and utter focus on our garden and literally watched it eat itself. You know those little tags that say how far apart to plant everything? Squash said 8 feet apart. I distinctly remember looking at my husband and we both smiled and I remember thinking I’m sure it’s just a warning, we’ll keep an eye on it. 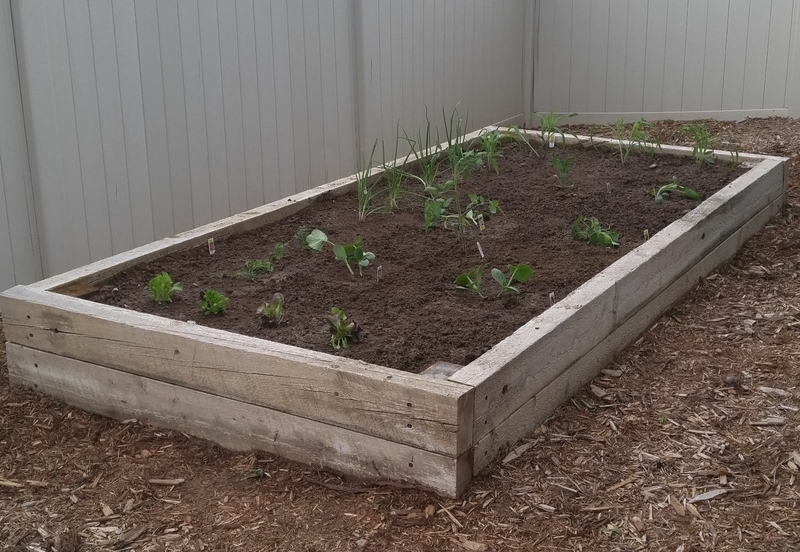 Our whole garden bed is approximately 8′ x 4′ so spacing them THAT far just wasn’t happening! 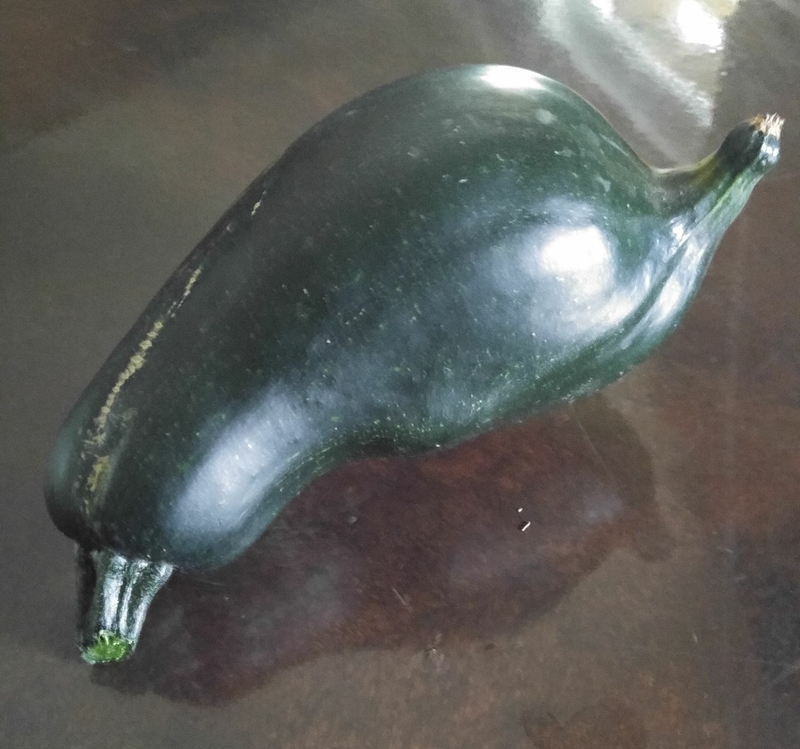 We planted three different varieties of squash; yellow squash, zucchini and spaghetti squash. All of which managed to eat the rest of the garden bed (including but not limited to tomatoes, carrots, lettuce, onions, corn, brussel sprouts). Focus on one project at a time; remodeling our home, raising a baby, and starting a new garden was clearly beyond our multi-tasking abilities (in our defense, I think this would have applied to most sane people)! If a tag says space the plants at a certain distance, you should probably heed their advice. Chances are the person who wrote that had slightly more experience than you! Don’t waste your money on starters if you’ve got a large garden bed… especially if you are going to both plant things too close that have the potential to eat your garden and neglect to care for it properly – isn’t the whole point to grow for your own produce which is not only safer, more satisfying, but also cheaper? Yeah, not so much if you kill the whole thing and waste your money! So, this year we decided we were going to do things differently. 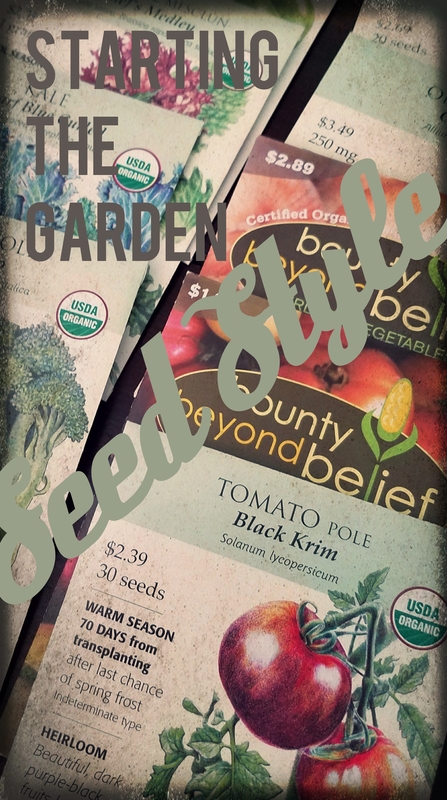 We bought all of our seeds while they were on sale – buy 2 get 1 free – SCORE! And then we did everything possible to ensure that our seeds would thrive. We purchased a Jiffy Greenhouse Starter Kit. Next we picked up a heating pad to go underneath the Starter Kit. We then hung a growing light above the kit set up on a timer. Note: We did not get ANY squash. Bada-Bing, Bada-Boom, we were all set to go. And the plants did great; we watched them meticulously (more accurately, my husband watched them like a hawk and I provided emotional support), and we got to the stage where you bring them inside and outside to be ready to plant. But alas. This is Colorado we live in. The wind blew, the rain came down, and the plants got caught in a breeze and landed in our yard. To add insult to injury, our new puppy had a field day playing with all of the pods. Thanks Pooch! And all in one fell swoop, weeks and weeks of planning, caring for and monitoring the seeds went down the tubes! Stay calm, it’s always easier the 2nd time. There is a well known planting schedule here in Colorado…not sure if it applies elsewhere but it’s something that’s virtually burned into your psyche here. NO PLANTING BEFORE MOTHER’S DAY! Which basically means, everybody and their brother plants on Mother’s Day. While being behind schedule is a big bummer, it may have been our biggest blessing in disguise…. Mere days after Mother’s Day, which was less than two weeks ago, we got a snow storm. 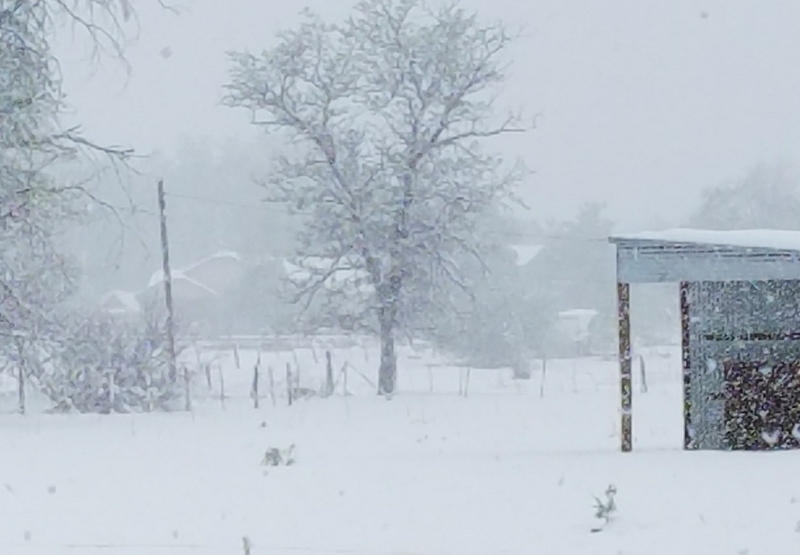 An extremely late, wet snow storm that is very out of character for late May. Trees and plants were demolished by the weight of the snow and the cold certainly didn’t help anything. 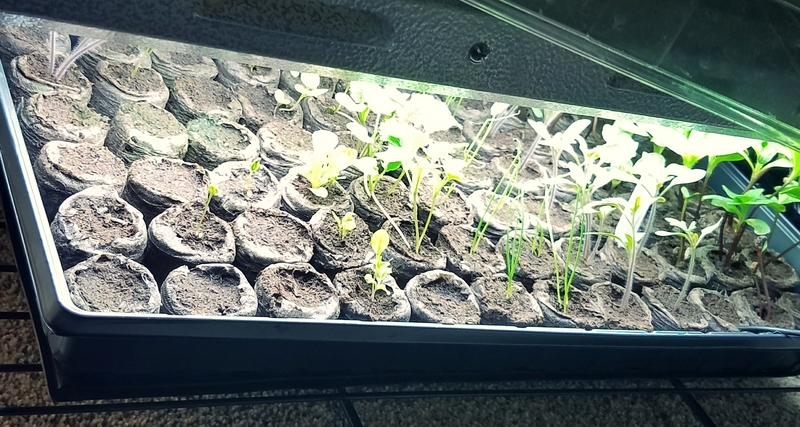 And while our trees got pummeled, our newly sprouted seedlings lay perfectly sandwiched between their warm light and cozy heating pad. 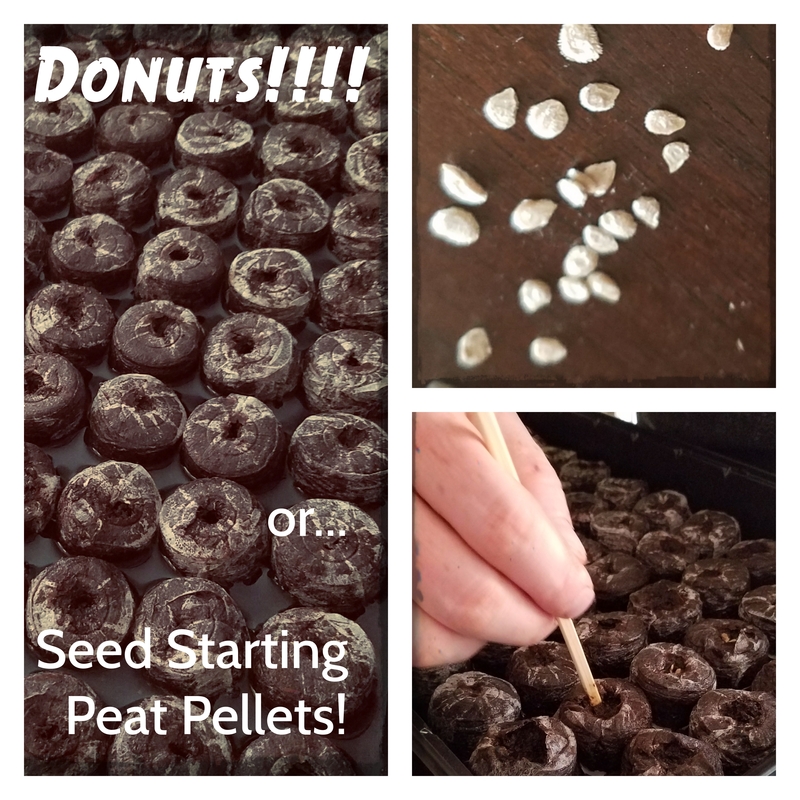 Seeds are awesome, they are inexpensive and come with lots so if you mess up you’ve got a built in round two. Sometimes things happen for a reason. Starting over may have been the best thing that could have happened to us. Don’t sweat the small stuff, we’ll be eating delicious veggies in no time. 4. Giant squash tastes awful and kills everything.